The Doctor and his companions Jamie and Victoria land in the London Underground system. But a spreading killer mist has meant that London has been evacuated. The Great Intelligence is back, and its robot Yeti are roaming the streets and the underground tunnels. The Doctor, Jamie, and Victoria team up with an army unit working with their old friend Professor Travers to combat the menace. The group's new commanding officer is Colonel Lethbridge-Stewart, whom the Doctor will come to know far better in the years ahead. 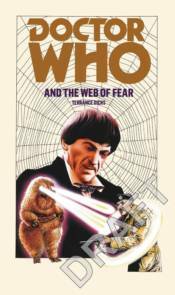 This novel is based on a Doctor Who story which was originally broadcast from 3 February-9 March 1968. This title features the second Doctor as played by Patrick Troughton with his companions Jamie and Victoria.